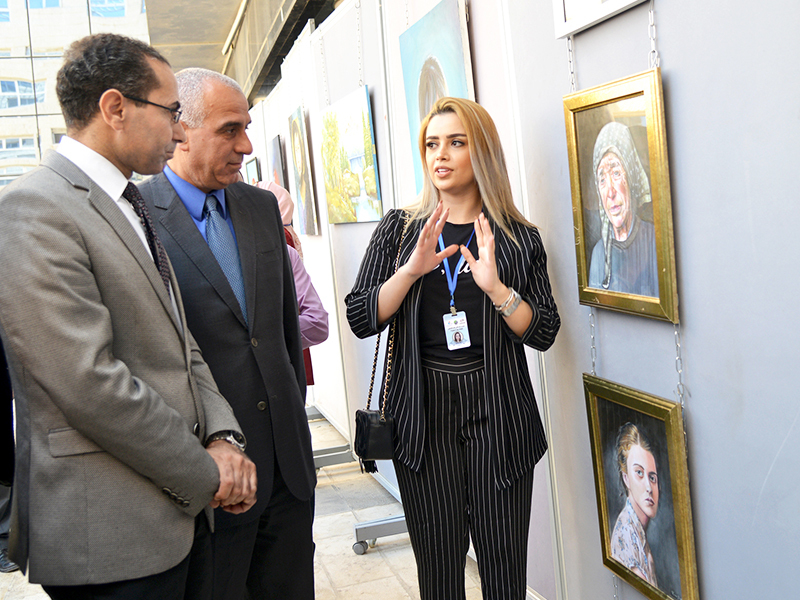 On Wednesday 1st of August 2018, under the patronage of Secretary General Mr. Haza’a Albarari from the Minister of Culture, , the Directorate of Culture of Madaba’s Governorate, with the cooperation of German Jordanian University (GJU) and Alwan Association for Artistic Creativity, held the opening of “Madaba’s Second Art Exhibition” at GJU’s campus. 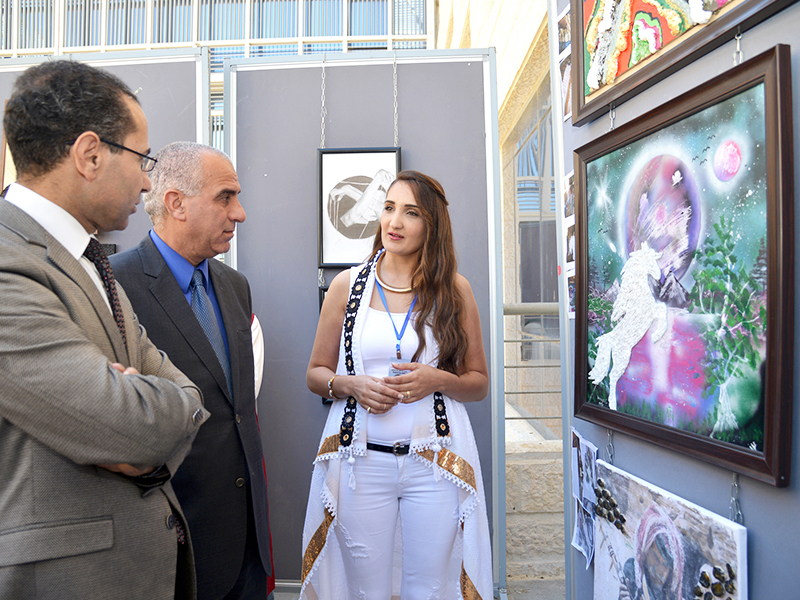 Vice President of GJU, Dr. Atef Kharabsheh expressed the university’s pleasure in welcoming the second art exhibition, mentioning the role of such initiatives in forming positive changes and constant collaboration among institutions to develop and improve the local community. 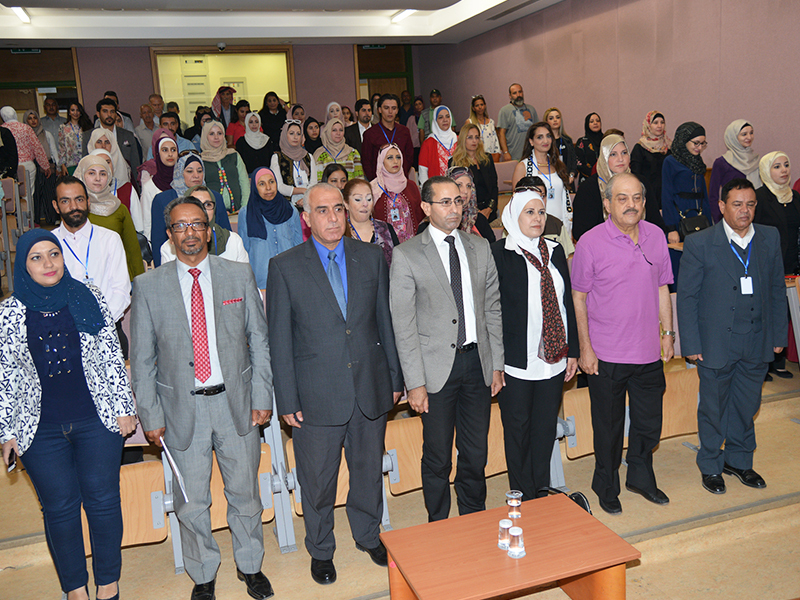 Director of Madaba’s Culture Directorate, Sahar Shakhatreh, thanked the university for its enlightening role in serving the local community and spreading awareness among students. 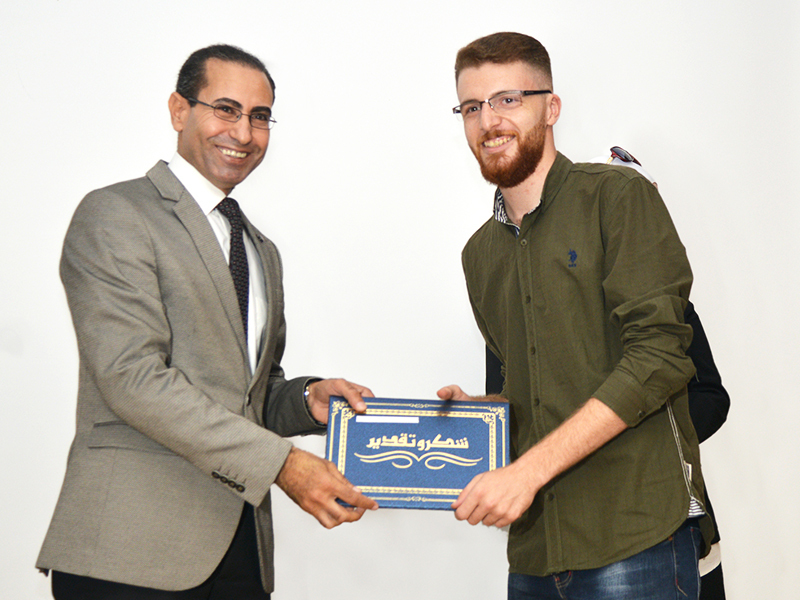 She appreciated the exhibition coordinator, artist Mohamed Al-Suriki for his contributions to the success of the exhibition. At the end of the opening ceremony, certificates of appreciation were distributed to the artists, then the guests and attendees toured the exhibition to learn about the paintings that varied between art, sculpture and drawing on glass. Forty-five artists participated in the exhibition.